Be Madbox is the software chosen by thousands of gyms around the world to improve the management of their center and focus on growth. Be Madbox offers a multiplatform service for your clients to make their reservations as they wish. Do not worry about controlling reservations, Be Madbox does it for you and if your customers want to book more they will have to buy extra classes. Even if your center has unusually high rates or schedules, our system allows you to configure it. Information about contacts and payments, reservations and remaining visits. Everything at your fingertips quickly. Be Madbox will automatically notify you of all events such as scheduled rate changes, low and highs or anniversaries so you can send special offers. 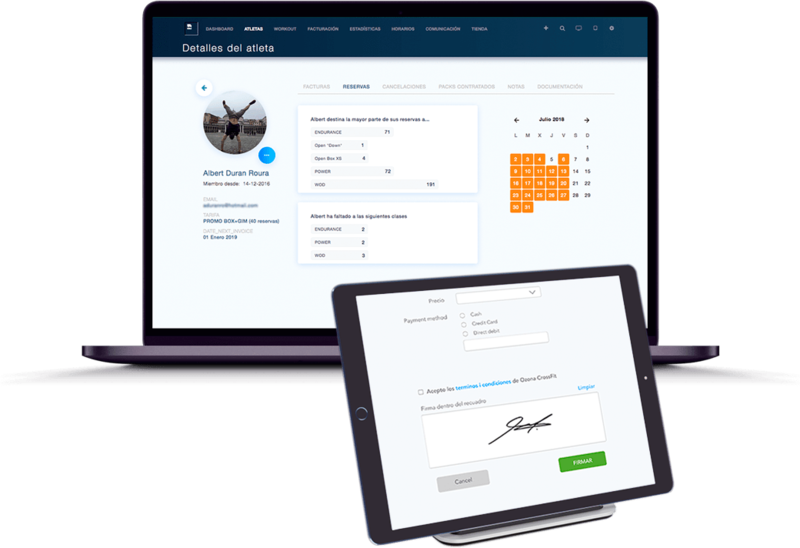 The records can not be faster and even now you can sign directly from the tablet or your mobile. We make billing only take a couple of minutes. When it's time, Be Madbox will generate the invoices automatically. You will not have to worry about leaving people unpaid. We provide you with a panel to control all this. Use our automated collection system and forget everything. But if you prefer you can also manage the charges manually. Be Madbox has several features to help you increase your profits. When you want, we can show it to you! Get a global view of your business faster to make better decisions. With our statistics you will always be aware of your billing and you will know which are the best-selling rates or products. We want you to always have the certainty and guarantee that all your customers have been billed, so we provide you with an intuitive graphic to control the collections in a few seconds. Control who has to attend classes and configure your check-in process to be manual or automatic. Managing outstanding charges with our Boxboard is very easy and the best thing is that it will take you a couple of seconds for payment. 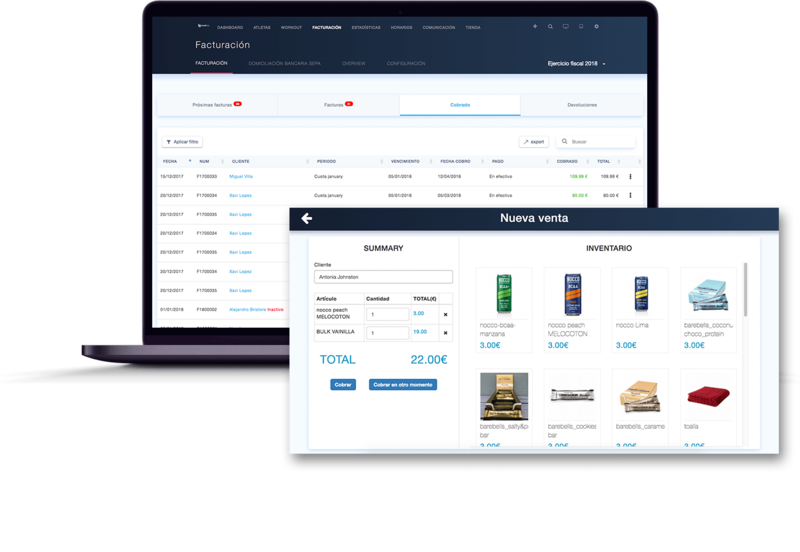 Manage the center's daily sales directly from your tablet. Surprise your athletes with this boxboard and its automatic videos. In addition, athletes can view the videos from their own APP. We help your athletes to know what weight they should put in their workouts. If you have two screens in your center a good option is to show the classifications in one of them to motivate your athletes. The Be Madbox app has been developed to be easy and fun. DISCOVER IT! With Be Madbox APP your clients will book comfortably and they will be able to join the waiting list if the class is already full. Send notifications or notifications so that your customers receive it directly on your mobile. They can see their reservations at a glance and know how many they have left. You can easily complete your athlete profile from the APP itself and you can even sign the exemptions from liability. You can check any movement or workout and if you have doubts also watch the video. Go saving your marks is very important to know the progression of oneself. Be Madbox makes it very easy. Keep your athletes motivated with the daily WOD ratings or the Benchmark WODs ratings.